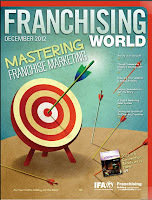 I contributed an article on Social Media and Franchising for the International Franchise Association's "Franchising World" magazine. "Are ya in or ya out?" I remember an old newspaper salesperson who would make his rounds every week to local shop owners and ask them that question. "Are ya in or ya out" was his way of asking if you were going to advertise that week....or not. And the same is true for social media. Either you're in or you're out. There really is no in-between. If you want your brand to be relevant in for now and the future, you really must be IN. What are the roles of the franchisor and the franchisee? What resources will be invested? Is the effort going to be fully supported from the very top of the organization & will it be funded properly. This last point is the most critical. The franchising world has the opportunity to take the lead in integrating social media into their branding & marketing strategy. Franchising has the key components: Brand names, local entrepreneurial operators at the point of transaction, marketing & social media strategists and other resources at the franchisor level, and most importantly, customers. Lots of customers. The conduit for social media success..... are the customers. So, let's break it down. Zors and Zees have common goals - how much money do they both keep at the end of the day. Of course that creates tension sometimes, but healthy unit economics typically make for a good day.... for everyone. And fundamentally, this is driven by sales. So as dollars are considered for social media marketing investment, it's easy to say, it's being implemented to increase sales. Done right, using social media as part of your brand & marketing strategy can increase customer count, frequency, average ticket......and all of the goals listed above. 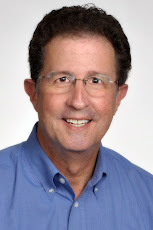 A couple of franchisors who are leading the way are Tasti D-Lite and Moe's Southwest Grill. Tasti D-Lite literally wrote the book on how to do this ("The Tasti D-Lite Way. Social Media Marketing Lessons for Building Loyalty and a Brand Consumers Crave"). Both brands said their critical step was having buy-in from the very top. Not just an okay and budget, but having leaders who engage in social media themselves and fully endorse the brand's efforts. Additionally, specific social media campaigns should have specific goals, knowing that they all eventually roll up to the ultimate objective of increased sales. Increasing your relationships with current customers online is no different than offline. A happy customer will spend more, make recommendations and referrals, and likely increase their use of the product. Simply being diligent about responding to customers' brand related digital activity begins to accomplish that. Over time, this becomes part of the fabric of the brand and the brand becomes known as customer focused and responsive. But, you must be passionate and unrelenting. As an example, Moe's social media monitor saw a tweet from a customer who, from a store location, said "I didn't get my "Welcome to Moe's" By monitoring in real time, seeing the tweeter's profile, they called the store, gave a description of the customer from her Twitter photo and the manager found the customer while she was still in the restaurant and he personally welcomed her to Moe's. Think about all the benefits generated from that one spontaneous act. The customer now has an enhanced impression of the brand, her loyalty logically has increased and she used social media to tell perhaps hundreds of others about Moe's. This is the social media customer conduit in action. Many brands are at least at this stage where they monitor mentions of their brand while they figure out what else to do, what the goals and strategies are, and try to find budget. Brans must now figure out how to take it to the next stage of what will be perceived by the customer as a random act of your brand really caring about their experience. Customers have different expectations for different products, services, and concepts. You know your typical customer demographically. Now you MUST figure out what their expectations are for social media interaction. If you meet those expectations, the magic happens. Some will say it's easier for a food concept to engage customers. There tends to be more passion for food than perhaps Home Inspections or Staffing. That said, HouseMaster utilizes social media for customer satisfaction follow-up. They also make use of their social media tools to monitor consumer satisfaction with their franchisees. This is yet another output of a well-integrated social media strategy. If there are opportunities to enhance that image through regular monitoring and then follow-up coaching sessions with the franchisee (if necessary), one could almost justify the investment on this benefit alone. So the answer to the question of whether you're in or you're out, has to not only be a resounding "yes" and it has to start at the top. Realistic goals based on your concept must be established with specific measurement agreed upon for each campaign and a realization that sometimes it may be more gray than black and white. If the end result is simply a more personalized "human" impression of your brand from current customers, you still win the day. A positive feeling can lead to increased loyalty and recommendations, "shares", tweets , likes and other social media jargon. This is what used to be known as "word of mouth". We all know that this ultimately leads to more sales, which drives stakeholder value, which is the foundation for every brand. So.....Are YOU in or ya out?